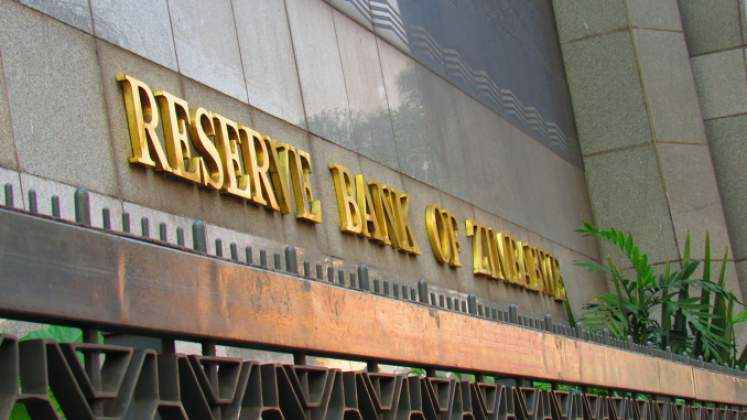 The Reserve Bank of Zimbabwe (RBZ) and industry are currently engaging banks to offer interest on foreign currency deposits in order to attract more inflows, particularly those with a long-term tenure, into the formal banking system. Monetary authorities directed banks to separate Nostro FCAs (Foreign Currency Accounts) from RTGS (Real-Time Gross Settlement) accounts last year. Nostro FCA balances have since risen markedly to US$610 million in February from $130 million in mid-October last year. RBZ Governor Dr John Mangudya told The Sunday Mail Business last week that they have asked banks to "provide incentives in the form of interest" on Nostro FCA deposits to ensure a "fair return on the deposits". "We are encouraging banks to provide reasonable interest rates on nostros to reward depositors. "Banks are expected to follow best practice when dealing with foreign currency deposits," said Dr Mangudya. Confederation of Zimbabwe Industries (CZI) president Mr Sifelani Jabangwe said last week interest on FCA deposits could be mutually beneficial for both banks and industry. "We have not yet been informed (quantum of interest), but I think there has to be some sort of interest given as the banks are also benefiting from the currency that we would have put into those accounts and also as they trade. "We want to encourage deposits to come to the market, so banks should give interest," said Mr Jabangwe. Efforts to get a comment from Bankers Association of Zimbabwe (BAZ) president Mr Webster Rusere were fruitless by the time of going to print. Individual depositors also want reasonable interest rates on FCAs. Ms Jane Shumba of Avondale, Harare, said banks, which usually charge high service fees, had an obligation to reward depositors. "So I am basically saying, the banks should share the profits they make from 'spinning' the money with the depositors," said Ms Shumba. However, the CZI believes that the recently introduced interbank market for foreign currency is likely to provide the much-needed tailwinds for industry. Essentially, the new policy measure, said Mr Jabangwe, would make foreign currency readily available on the formal market. "The major advantage is that we now have a legal way to access foreign currency, as opposed to companies having to go to the black market, which was, again, not in line with corporate governance. "The parallel market was also making it difficult for companies to determine their true costs. We also had this challenge where we believed that the rate we were being charged by the black market was higher, it was a premium. "I think it has been proven right that the rate was higher given that as soon as it was officialised, it came down to 2,5. What we were seeing was the difference that the middlemen and women were getting and also the risk premium of trading on that market," said Mr Jabangwe. The interbank rate marginally rose to 2,7 last Thursday, but analysts remain optimistic that it will eventually settle at between 2,3 and 2,5.